Is There Dolphin in Canned Tuna? Most canned tuna sold in the U.S. is labeled as dolphin-safe, with 98 percent of what you can find in your grocery store bearing that mark. What that label means is both complex and controversial. As laws and regulations change over time, so does the debate about tuna fishing, its impact on dolphins, and what it means for sustainability. You don't have to worry that there is dolphin meat in canned tuna. In fact, the only protein in cans of tuna comes from various kinds of tuna; it has never included any dolphin. While some fishing practices result in killing dolphins when catching tuna, the dolphins are not harvested and so their meat is never canned. The dolphin-safe label used in the U.S. shows a dolphin graphic and the words "Dolphin Safe" and "U.S. Department of Commerce." The dolphin-safe label signifies that the tuna was caught by fishing methods that should result in fewer dolphin deaths. Requiring dolphin-safe fishing practices for tuna sold in the U.S. has greatly reduced the impact on dolphins. The population of the dolphins associated with tuna fishing has stabilized, but they have not yet begun to rebound to their former numbers. As the popularity of tuna increased, particularly canned tuna, commercial fishermen felt pressure to increase supplies. From experience, they learned that in eastern tropical Pacific waters, yellowfin tuna often ran with dolphins. Dolphins were easy to spot, so fishermen would target dolphins with their nets to catch schools of yellowfin swimming beneath. As a result, millions of dolphin have perished in tuna fishing nets since the 1950s. The Marine Mammal Protection Act of 1972 was modified several times in the 1980s in an attempt to curb the mortality rate of dolphins. The 1990 Dolphin Protection Consumer Information Act resulted in the "dolphin-safe" labeling campaign. It received enthusiastic public approval, yet the requirements for such labeling still left loopholes for imported tuna. The dolphin-safe label requires an observer on each fishing vessel to assure that no dolphins are viewed, chased, encircled, killed, or seriously injured during the tuna harvest. Mexico challenged the U.S. standards as discriminatory and was successful in getting the World Trade Organization to order the U.S. to make changes. The U.S. responded in 2016 by expanding even tougher rules for tuna caught worldwide. While previously Mexico was the only nation the U.S. required to have observers aboard, now tuna boat operators from Ecuador, Panama, and other nations also must be trained in dolphin-safe practices and may be required to have onboard observers. 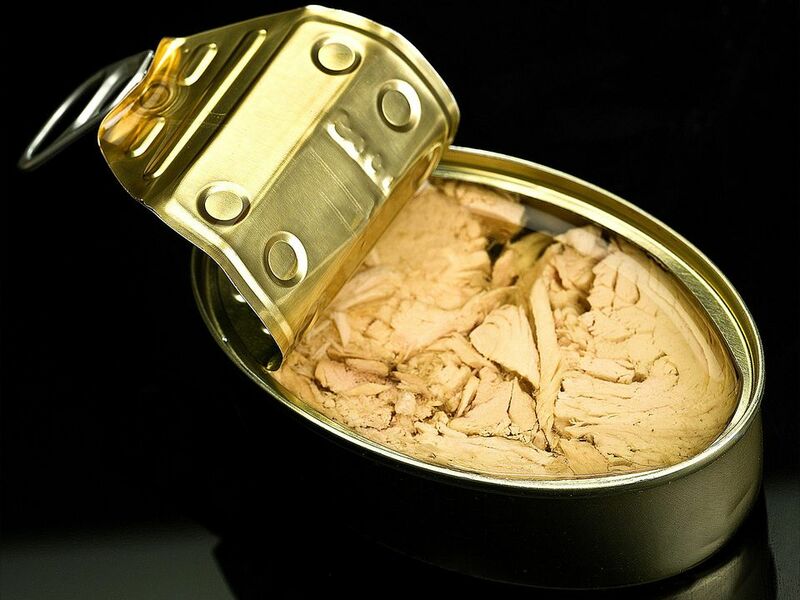 The U.S. consumes about 50 percent of the canned tuna produced. Many international tuna companies comply with the policies set by the International Marine Mammal Project of the Earth Island Institute on which the U.S. Dolphin Safe label is based. The three most popular commercial canners, Star-Kist, Chicken of the Sea, and BumbleBee, have all pledged to remain "dolphin-safe" regardless of any future potential changes in the law. Many large grocery chains and warehouse stores selling generic canned tuna are also requiring dolphin-safe practices. You can be reassured by looking for the dolphin-safe emblem on any canned tuna you purchase. Advocacy groups continue to lobby for more studies and stricter laws to protect dolphins from net fishermen. The good news is that dolphin mortality has fallen to about 1000 deaths per year, down from over 100,000 per year in 1986 and the atrocious 500,000 in 1980. Despite the reduction in deaths, the populations of dolphins in the eastern tropical Pacific purse-seine fishery have stabilized but have not rebounded. There are many theories as to why this may be, including that the fishing practices still place stress on dolphins or may cause such an impact on the ecosystem that dolphins are affected. When purse-seine nets are set around schools of tuna, dolphin calves may be separated from their mothers and they may be unable to locate each other when released. Dolphins are not the only marine animals that are killed in tuna fishing. The practices deemed dolphin-safe include using fish aggregation devices such as tethered rafts or logs. However, these fishing practices can kill sharks, sea turtles, marlins, and other kinds of fish. The amount of by-catch in using these methods can affect an entire ecosystem. What Fish Are in Canned Tuna? Light tuna is usually skipjack tuna, but may also contain yellowfin, tongol, or big-eye tuna. Skipjack tuna is a smaller fish that doesn't associate with dolphins, but you can't be assured that there is no yellowfin tuna in the can. Light tuna has the strongest taste and is the least expensive. White tuna is albacore tuna and often the cans will be labeled as albacore. It is larger than skipjack but smaller than yellowfin tuna. It has a milder flavor and is more expensive. It is considered to be more sustainable.